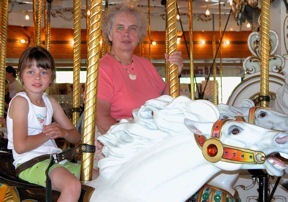 Spokane’s beautifully preserved Looff Carousel begins a second century of delighting children and adults. Built in 1909 and considered to be the last operating carousel created by Charles Looff the hand-carved wooden carousel is listed on the National Register of Historic Places. This Spokane treasure is frequently listed as one of the top five carousels in the country and has one of the highest number of riders each year. Aligned three abreast, 54 horses prance around the wooden platform. 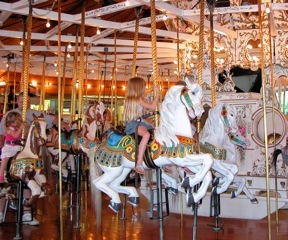 All are jumpers, carved in a running position, and move up and down with the rotation of the carousel. This is the only one made by Looff on which all of the horses are jumpers. A giraffe, one tiger and two dragon chariots complete the carousel. Spokane’s Looff debuted July 1909 in Natatorium Park, operating there until 1967 when the park closed. It was brought out of storage after Spokane’s Expo ‘74 and reassembled in the world’s fair Bavarian Garden building. 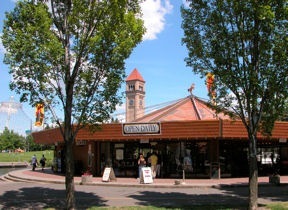 We don’t consider a trip to Spokane complete without a few turns on the historic carousel in Riverfront Park. On sunny summer days, during chilly spring rains or snowy Christmas holidays there’s something magically and rejuvenating about climbing atop a bejeweled jumper, the ringing of the starting bell and music from the band organ. We gallop along at a brisk 7-mph pace with the outside riders stretching out with each rotation in hopes of grabbing the golden ring. Those who succeed receive a free ride. Awaiting our turn we careful scrutinize the passing array of horses. Do we want to mount a red sorrel, dapple gray or strawberry pinto? Each horse is individually painted and adorned in colorful “trappings”, tails are made from real horse hair and color coordinated. 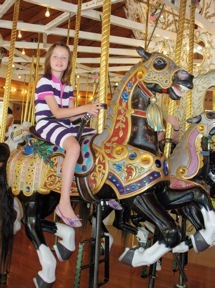 More than a quarter of a million riders experience the Spokane Looff carousel each year. My first ride on this treasure was in 1983; I hope to never loss my enthusiasm for a spin. In celebration of the Looff carousel anniversary an exhibition of artifacts and artwork is showcased at the Chase Gallery in Spokane’s City Hall. 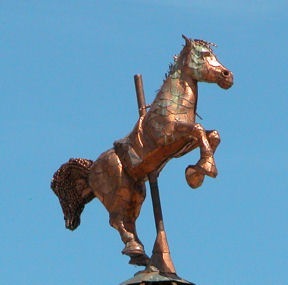 The Art of the Carousel, on display until February 28, 2010, features antique horses and figures, horses under construction, original artworks and historical details. Chase Gallery is open Monday through Friday from 8am to 5 pm. Because I would love to win, my selfish side hesitates to share this opportunity but my better half wins out. 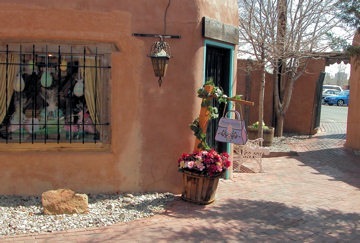 The Albuquerque Convention and Visitors Bureau is holding a Winter Sweepstakes for a free getaway to the Duke City. 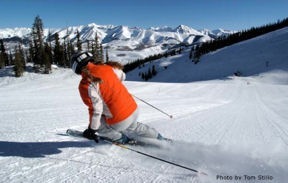 Enter the Albuquerque Getaway Sweepstakes before February 28, 2010 at http://www.itsatrip.org/sweepstakes_winter/default.aspx. 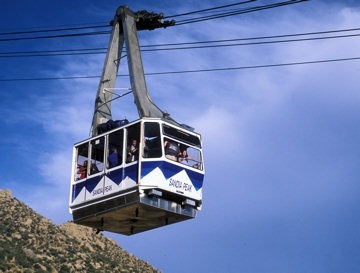 In previous posts I’ve shared many of the attractions and activities Albuquerque offers visitors. 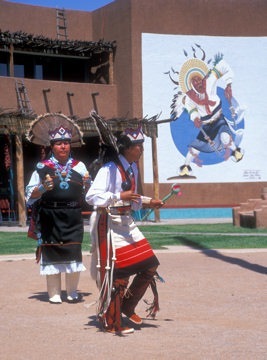 Native American arts and cultures, science, history, nature, shopping, sports, gaming, unique Southwestern dining – a multitude of days and nights can be filled with fascinating and fun options. I’ve made my entry in the sweepstakes. Can it really be time to think about sending Valentine cards? Volunteers in The Sweetheart City of Loveland, Colorado are gearing up for their busiest weeks of the year. 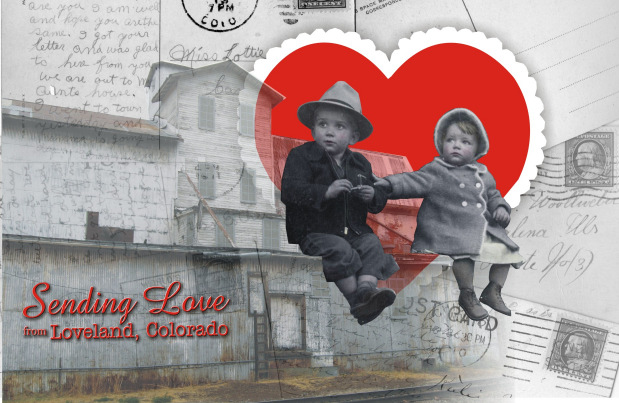 Since 1947 the Loveland program has re-mailed more than 12 million Valentines with special cachets and verses – the largest postmark re-mailing program in the world. The Loveland Chamber of Commerce operates the program in partnership with the Loveland Post Office which creates a special annual cancellation. Over 200,000 Valentines from every state and 100+ countries will arrive in Loveland. Beginning at 9am, Feb. 1st more than 60 volunteers will gather to hand stamp the cupid cachet and love verse – a true labor of love. 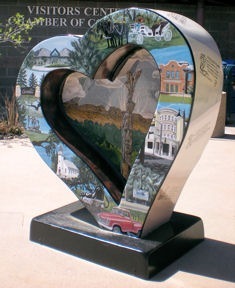 The 2010 "Official Loveland Valentine Card" designed by Tracie Jenkins and produced by the Chamber of Commerce can be ordered by calling 970-667-6311, on the web or in Northern Colorado retail outlets. From the City of Loveland, a city with heart. Here’s a Happy Valentine Wish for you! The cards are removed from the larger envelope at the Post Office. To ensure delivery by Valentine’s Day 2010, foreign mail must be received in Loveland by February 3, U.S. destined mail by February 8, and in-state Colorado by February 11. 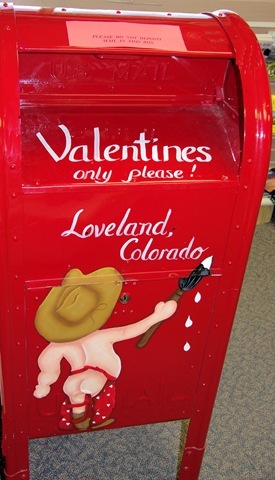 Many Colorado King Soopers and City Market stores have Loveland Valentine Re-mailing boxes where you can drop off your pre-stamped and addressed cards. Be sure to attach the correct postage on your cards. Add a little extra love from Loveland to your Valentines this year. 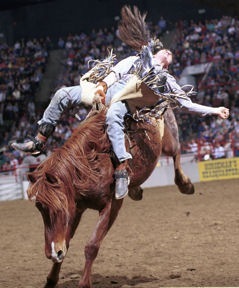 The sixteenth and final day of the 104th Annual National Western Stock Show, Horse Show and Rodeo. 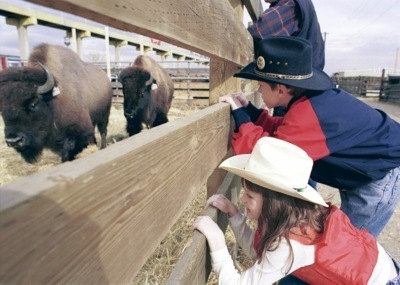 Check the NWSS schedule web pages for times and locations. That’s it for this year; see you back in Denver January2011 for the 105th Annual National Western Stock Show, Horse Show and Rodeo. 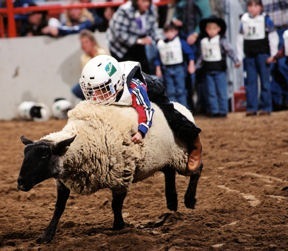 Watch the stock dog trials, bison sale, the mule parade hitch or one of three rodeos scheduled today at the 104th Annual National Western Stock Show, Horse Show and Rodeo. 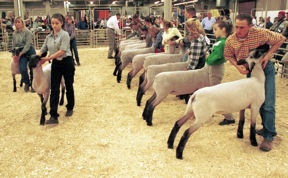 Check the NWSS schedule web pages for times and locations. 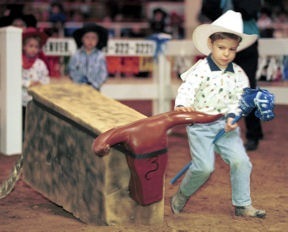 The auction of National Junior Livestock occurs at 6:30pm today at the 104th Annual National Western Stock Show, Horse Show and Rodeo. 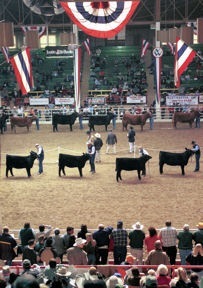 Check the NWSS schedule web pages for times and locations.